Heat oven to 425°F. Make pie crust as directed on box for One-Crust Baked Shell using 9-inch glass pie plate. Cool completely on cooling rack, about 15 minutes. Meanwhile, in large microwavable bowl, microwave chocolate uncovered on High 1 minute to 1 minute 30 seconds, stirring every 30 seconds, until softened and chocolate can be stirred smooth. Stir in condensed milk with whisk until smooth; let stand 2 minutes. Fold in half of the whipped topping until combined. Pour filling into cooled baked shell. Cover; refrigerate 4 to 8 hours. 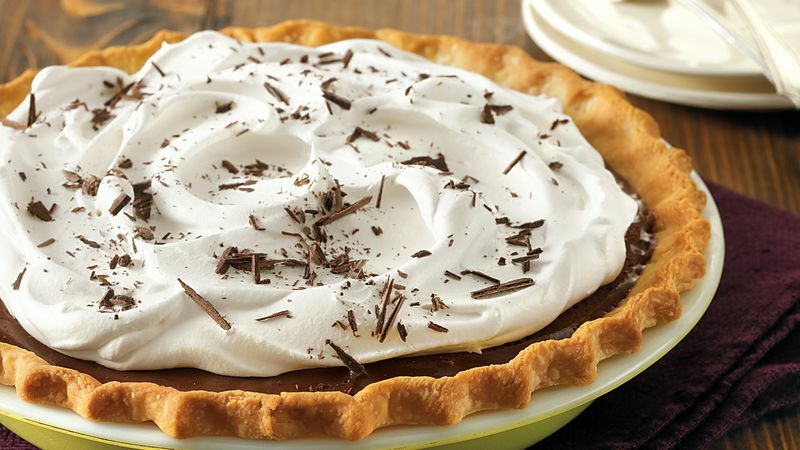 Refrigerate remaining whipped topping; just before serving, spread whipped topping over pie. Garnish with chocolate shavings.